Welcome to our first competition for 2019. For February we had five entries which included Pauline Meyers’ Prasophyllum species from Western Australia, Lindy McCallum’s Glossodia major and Leptoceras menziesii, Lisa Incoll’s Thelymitra antennifera. The winner was Rob Pauley’s photograph from the south east of Thelymitra malvina (Mauve Tufted Sun Orchid) which is found in only a few places in the South East but does occur in Victoria, New South Wales, Queensland, Tasmania and even ‘across the ditch’ in New Zealand where it is considered “an Australian species now established in the North Island”. According to the Atlas of Living Australia, it is endangered in Victoria, South Australia, Tasmania; of Least Concern in Queensland and there is no listing for New South Wales. Though the common name, Mauve Tufted Sun Orchid, indicates that its most distinctive feature are the purple tufts on the post anther lobe, it is possible to find them with white tufts and there are other species that have purple tufts (eg in SA T. azure and T. occidentalis may have purple tufts but it is obvious from their other features that they are not at all similar to T. malvina). There are no other closely similar species in South Australia, but on the other hand, in the eastern states, it can be confused with Thelymitra atronitida, so it is worthwhile considering some of the main differences between these two. Across the country, there is some variations of flowering times with New South Wales having the longest flowering time from August to November and South Australia along with Tasmania having the shortest of October and November. With two sun orchids entered this month it is not surprising that one of them should be the winner which was John Fennell’s Thelymitra azurea a lovely blue flower with hints of pink. The other sun orchid taken by Pauline Meyers was one of the lovely pinks, T. rubra. She also entered a picture of Pyrorchis nigricans with a spider quietly waiting for its next meal! The final entry from Trevor Williams was that of a double headed Diplodium robustum which he found at Spring Gully Conservation Park. Orchids are unique in the floral world. Two distinctive characteristics that set orchids apart from other plants are the labellum and the column. The labellum is a modified petal. It is extremely varied in appearance; “often lobed, spurred, adorned with glands, appendages of calli (callus, a hardened swelling or thickening of the skin), sometimes mobile and highly irritable and often brightly coloured”. * The labellum is important for pollination. Below are examples of the various types of labellums and columns in some South Australian terrestrial orchids. Each genus has its own characteristic labellum and column. Thelymitra – though the labellum is almost indistinguishable from the other petals and sepals, the column is quite complex. Pterostylis or Greenhoods – generally a simple labellum with the column hidden well back into the hood. Corybas or Helmet Orchid – the labellum dominates and the column is hidden deep inside the flower. Diuris or Donkey Orchid – the labellum is divided giving the appearance of more than one structure. Leo Davis always has some interesting insights from his orchid observations. In this article he examines the position of the tepals (petals and sepals) in particular the Moose Orchid which he saw for the first time this year. Have a close look, next season (winter to early summer) at some of our native lilies. Start with the jolly bulbine lily (Bulbine bulbosa), no longer a true lily incidentally, because it now resides in family Aspodelaceae, along with the grass trees. You will find three yellow petals at 12, 4 and 8 o’clock and closely behind them three almost identical sepals at 2, 6 and 10 o’clock, so at first sight you see six apparently identical tepals (sepals and petals). Move on to the rush fringe-lily (Thysanotus juncifolius), as described in Ann Prescott’s ‘It’s Blue With Five Petals’. Clive Chesson is more up to date and tells me it is now T. racemoides. Again it is no longer a true lily, now sitting in family Asparagaceae. Here the tepals are noticeably different. Three wide densely fringe edged petals will be found, if you view the flower face on, at 12, 4 and 8 o’clock. The narrow non fringed sepals sit close behind at 2, 6 and 10 o’clock. These are just a generalisations because if the flower turns only about 60o a sepal will be at the top. Most orchids, while close relatives of the true lilies and the one time lilies, do not show these arrangements. Let’s start with some that do. In the large duck orchid (Caleana major) the petal at 12 o’clock, the dorsal petal, is modified, as in most, but as usual, not all, orchids, to become a labellum. In this charmer the labellum takes the form of a duck’s head. Its function is to snap down trapping a pollinator insect in the cup shape column below it, forcing it into contact with the sticky off white stigma and/or the yellow pollinia below it. Look closely and you will find the other two narrow petals drooping at around 4 and 8 o’clock. Two folded, twisted sepals can be clearly seen at around 1 and 11 o’clock. The third sepal, at 6 o’clock, is tucked in behind the cup shaped column. Note that, as with lilies, the top tepal is a petal. The leek orchids (genus Prasophyllum) follow this pattern and also have their labellum at around 12 o’clock. These orchid groups, which are up the right way, are said to be ‘not upside down’, using the technical term ‘non resupinate’. Most orchids are ‘upside down’ and are called resupinate. The whole flower rotates 180o, clockwise or anti I don’t know, at the embryonic stage. But let’s start with somewhat of an exception with the sun orchids (genus Thelymitra) which do not have a petal modified as a labellum. But they are indeed upside down. Have a close look at the Thelymitra benthamiana flower. Note that the three petals, at roughly 2, 6 and 10 o’clock, are in front of the three slightly larger but very similar sepals, at 12, 4 and 8 o’clock. Note that the top tepal is a sepal. The flower is upside down, that is resupinate. In most orchids the petal at 6 o’clock would be modified to be a labellum. The Arachnorchis (possibly Caladenia to you) stricta, from Sherlock, out in the mallee, is more typical of terrestrial orchids in SA. It is upside down, that is resupinate, and has a petal modified to be a labellum. The bottom petal has become a wide labellum, with fine edge combs and parallel rows of rich plum coloured calli covering its centre. Out at roughly 3 o’clock is a narrow petal, the other invisible on the other side. At the top, pressed tightly against the column, a sepal arches forward. Two larger sepals extend down at around 5 and 7 o’clock. When I saw my first, my only, moose orchid, this season, I was in such a state of excitement that it looked to me to be up the right way, that is to say upside down. Have a look. Two narrow short roughly vertical petals at about 1 and 11 o’clock. There are two sepals at just past 3 and just before 9 o’clock. That’s OK but where is the other sepal? Are there it is, where it should be, at midday. But hang on, it’s behind the flower stem (peduncle) and where is the column? Holding the labellum up with a stick I found the column, the stigma and the pollinia, underneath the labellum. The third sepal now appears to be at 6 o’clock. And it all became clear. This flower was up the right way (non resupinate) but it has turned forward, on its peduncle, by about 180o, to become upside down, but not in the manner of resupinate flowers, because it is back to front. It is an inverted non resupinate flower. Still with me? Mad dogs and Englishmen are not the only ones to go out in the midday sun. For orchidologists to see Sun Orchids flowering, then it is out into the midday sun on a hot day because that is when they open. There is no point going much before 11am and by 2pm most are closing and no point going out on a cool or windy day. But for those who don’t want to go out (or cannot get out) into the midday sun, here is a video to be viewed in the cool of the shade. This video features the Leopard Sun Orchid (Thelymitra benthamiana) an uncommon Sun Orchid in South Australia. Unlike many sun orchids which requires a view of the flower to confirm identification, this one can be identified by the leaf alone. At the beginning of the video take note of its distinctive leaf. Five entries were received, again spanning the country from east to west. John Badger entered a Chiloglottis reflexa recently photographed in Tasmania, Pauline Meyers an unidentified Western Australian Spider orchid, Judy Sara had two entries from the latest field trip, Eriochilus collinus (previously phrase name Adelaide Hills) and Leporella fimbriata and Claire Chesson’s Thelymitra benthamiana. T. benthamiana, the winning picture, is a beautiful sun orchid that is found across the southern Australia from Western Australia through South Australia to Victoria and Flinders Island. More common in west than elsewhere it is the only one of the seven species in the T. fuscolutea complex to be found in the east. It would appear that this complex has been a problematic as indicated by Jeanes (2006) in his article Resolution of the Thelymitra fuscolutea (Orchidaceae) complex of southern Australia published Muelleria; the Royal Botanic Gardens of Victoria research journal. Since the early days confusion, which persisted into this millennium, has occurred. In 1871 Reichenbach recognised 3 species one of which was T benthamiana but Bentham after whom the orchid was named disagreed and consider it but a synonym of T. fuscolutea. There were many twists and turns in the names but in effect, for over a hundred years, most authors followed Bentham’s taxonomy rather than Reichenbach’s until 1989 when Mark Clements after studying the drawings, literature and orchid type material came to the same conclusion as Reichenbach that T. benthamiana was a distinct species from T. fuscolutea. Since then, authors have followed Reichenbach/Clements taxonomy. Over the decades, the number of species in this complex varied considerably. By 1938 three separate species were recognised, but between then and 1989 it fluctuated between recognizing one, three and four species and in 1998 the orchidologist were considering a possible seven species. These were all confirmed and named in Jeans’ 2006 paper. Today, according to Orchids of Western Australia there is potentially an eighth member in this group. Jeanes highlights some of the issues involved in determining which species is which. Some of the issues are lack of accurate/detailed information such as location, type of terrain, habitat, surrounding plants, date of collection, etc. Dried specimens by themselves are inadequate as important features may be lost in the drying process. This complex is but an example of a widespread problem across many of our Australian orchids indicating not only the need for careful observations in the field but meticulous record keeping that others can access. Thank you to Juergen Kellermann, (senior botanist for the State Herbarium) for critiquing this article. 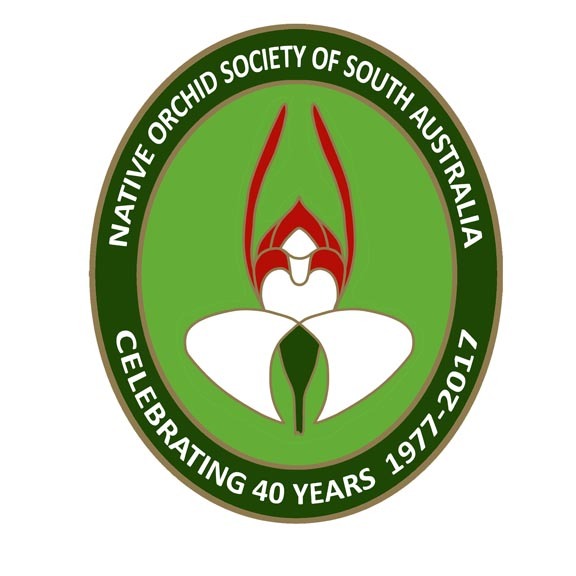 The following article is from the April 2016 Journal of the Native Orchid Society of South Australia. 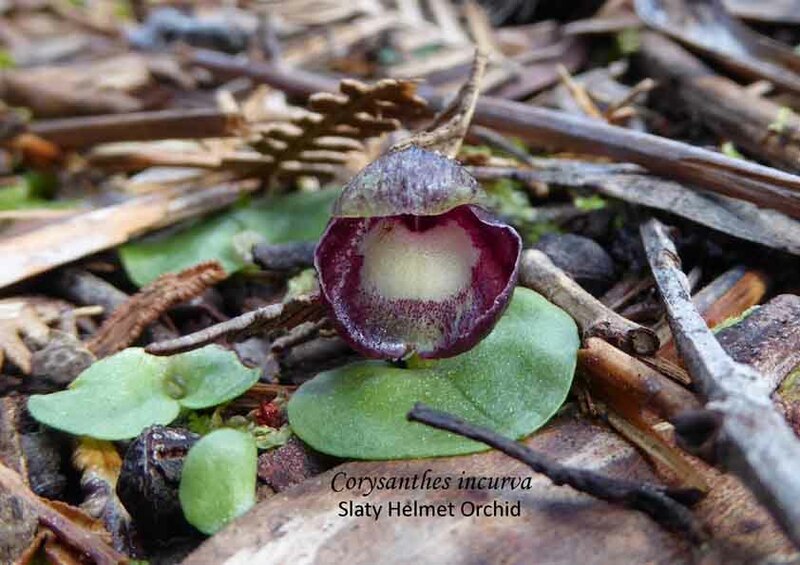 The article is complete in itself but Part Two of this post will illustrate how images can help with images of Crytostylis robusta and C. reniformis. Orchids are beautiful plants and many of us like to capture that beauty on photographs. And there are many beautiful pictures around. Many times NOSSA, the Herbarium and other specialist groups receive images requesting identification but the vital information is missing. When photographing for identification, it is necessary to take more than one image, particularly if you are unable to easily return to the site for more images. When in doubt, take several shots from many different angles highlighting different features of the plant and its habitat. Another very important point to remember is, when there are several of the same plant, to photograph the orchid that is most representative of the group, not the atypical or unusual plant. individual flower – both from the front and the side, occasionally the back. capsules of the finished flower – sometimes it can yield useful information. for some genera, the stem can also be a helpful feature as between some species there can be a difference in the hairiness of the stem. It is also worth including in a photograph an indication of whether the plants are growing in colonies with others or as scattered individual plants. It is also good to give an idea of size, this can be as simple as using a thumb or hand, a coin (show the reverse not the head) or any item that had an easily recognized size. It is important to have the object next to the feature being photographed. For example, a coin on the ground next to a leaf or a hand immediately behind the flower gives a clear indication of size. Remember to take another photo without the hand or coin. Some species are distinctive and easily recognised, eg the Flying Duck Orchid, but others are not and it is helpful to know what part of the plant to photograph as different genera will have different identifying features. Rufoushoods – side view of the flower and close up of the labellum as the hairs on or surrounding the labellum are important features. This image lacks the ends of the segments to determine the identification. The presence or absence of clubs on the ends of the segments (petals and sepals) can often be the distinguishing feature with many of the Arachnorchis (Spider Orchids). November’s theme was hybrids. Orchids, more than any other plant family, are likely to produce natural hybrids. Even though the overall occurrence of natural hybridisation in orchids is low, it occurs often enough to make some species identification challenging. and her Western Australian photograph of Caladenia x enigma; a hybrid between C. falcata and Drakonorchis barbarossa. Jones (2006) states that “Natural hybrids are more common in some genera, such as Arachnorchis, Caladenia and Diuris, than in others.” To this list could be added Thelymitra as seen with both of the winning pictures T. x truncata and T. x irregularis. Interestingly with these two hybrids, the parents are not always the same; the parents for T. irregularis could be T. ixiodies or T. juncifolia with either T. carnea or T. rubra. A similar situation occurs with T. truncata with the parents consisting of T. juncifolia and any member of the T. pauciflora (including T. albiflora, T. arenaria, T. bracteata, T. brevifolia, T. cyanapicata, T. pauciflora) or of the T. nuda complex. Obviously hybridisation is more likely to occur when there is an abundance of the parent species. This situation can occur when there is mass flowering following fires or good seasonal rains. Site disturbances either through natural causes or clearing can result in increased incidence of hybridisation. Hybrids are often infertile and will only last for the life of the individual plant but some have the ability to reproduce vegetatively and, provided the conditions remain favourable, may persist for several years. One situation that can occur is hybrid swarm. When these occur they can make orchid identification challenging. Hybrids share the characteristic of both parents and by careful observation this can be deduced but swarms introduce an added complexity because the hybrid can backcross with either of the parents or cross fertilise with themselves. The result is a wide range of variation which makes orchid identification difficult. Finally, some orchids will not hybridise even though the conditions are right. This could be due to specific pollinator or possibly chemical or genetic barriers.